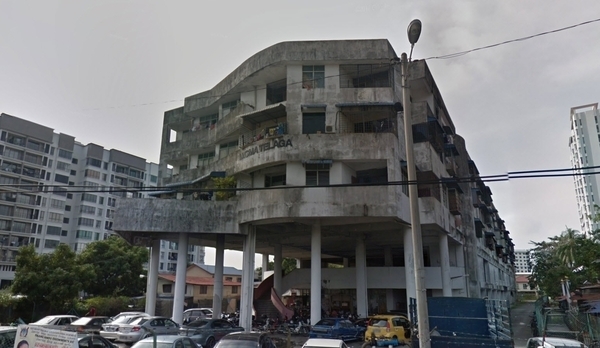 Wisma Telaga Air is a freehold low-cost flat located in Butterworth, Seberang Perai. Other neighbouring projects around are Citrine Tower, Jade Tower, Pangsapuri Jalan Mohd Saad, Pangsapuri Pantai, Pangsapuri Ria, Pangsapuri Sri Chempa, Pangsapuri Widuri, Pearl Tower and Ruby Tower. The only amenities nearby this low-cost flat are schools. Few of the schools here include SJK Chung Hwa Cawangan 1, SK Bagan Tuan Kecil, SK St.Mark Butterworth, SRJK (C) Chung Hwa 1 and SRK St. Mark.